Joined Ross & Liddell 1975. 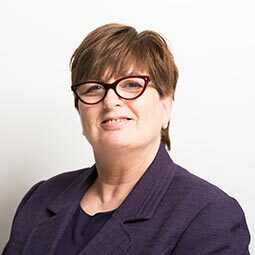 Irene's service with Ross & Liddell is in excess of 30 years, during which time she has held a number of appointments in property management, before being appointed an Associate of the company in 1987. Irene was appointed to the Board in 1994 as a Director of Property Management and, in August, 2005, a restructure of the Board resulted in her becoming Managing Director. During her service with Ross & Liddell, Irene has gained considerable expertise and experience in the management of all types of residential property, from tenements to luxury new builds. She also has a thorough background in the administration of property management, backed up by courses on building construction, property law, and associated subjects. Irene's overall responsibility is to ensure that the strategy, as set by the Board, is adhered to, and that the objectives and targets, as set out in the company's business plan, are met. Therefore, Irene is involved in a diverse range of business issues, while retaining responsibility for property management. Irene's leisure time is spent fishing, swimming, walking, travel and arts and crafts.